Join Women’s League for the exclusive opportunity to learn from prominent Jewish scholars. These sessions will be held via Zoom online conference calls. Questions? Contact Program Coordinator Barbara Ezring at bezring@wlcj.org. On Tuesday, May 21, at 8:30 p.m., Eastern time, join Women’s League for a session with Dr. Pamela S. Nadell, author of America’s Jewish Women: A History from Colonial Times to Today. The book is currently available in digital and hardcover formats. Register for this session here! America’s Jewish Women uncovers what it has meant to be a Jewish woman in America by weaving together the stories of remarkable individuals—from the colonial matron Grace Nathan and her great-granddaughter, the poet Emma Lazarus, to labor activist Bessie Hillman and Supreme Court Justice Ruth Bader Ginsburg. In this groundbreaking history, we see how they and the scores of women—the wives, mothers, activists, and workers who appear in these pages—maintained their Jewish identities as they wrote themselves into American history. Defined by a strong sense of self, a resolute commitment to making the world a better place, and diverse notions of what being a Jew means, America’s Jewish women left deep imprints on their families, communities and the nation they call home. 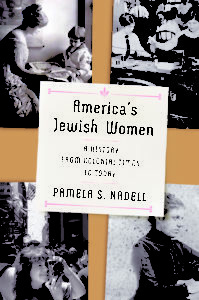 Pamela Nadell is the author of America’s Jewish Women: A History from Colonial Times to Today, published in 2019 by W.W. Norton. 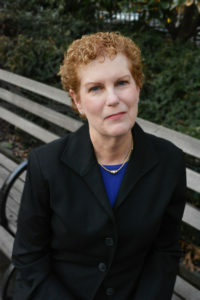 A professor and Patrick Clendenen Chair in Women’s and Gender History at American University in Washington, DC, she is a recipient of the university’s highest faculty award, Scholar/Teacher of the Year. Her other books include Women Who Would be Rabbis: A History of Women’s Ordination, 1889-1985, a finalist for a National Jewish Book Award. Past president of the Association for Jewish Studies, she has also received the American Jewish Historical Society’s Lee Max Friedman Award for distinguished service to the profession. She and her husband, parents of two grown children, live in North Bethesda, Maryland.